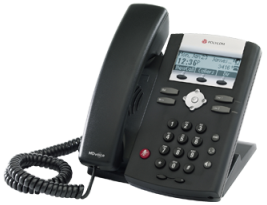 The Polycom IP335 is one of Polycom's entry level VoIP phones that boasts enterprise grade features, 2 lines, integrated PoE (Power over Ethernet) support, and Polycom's HD (High Definition) Voice(TM) technology. 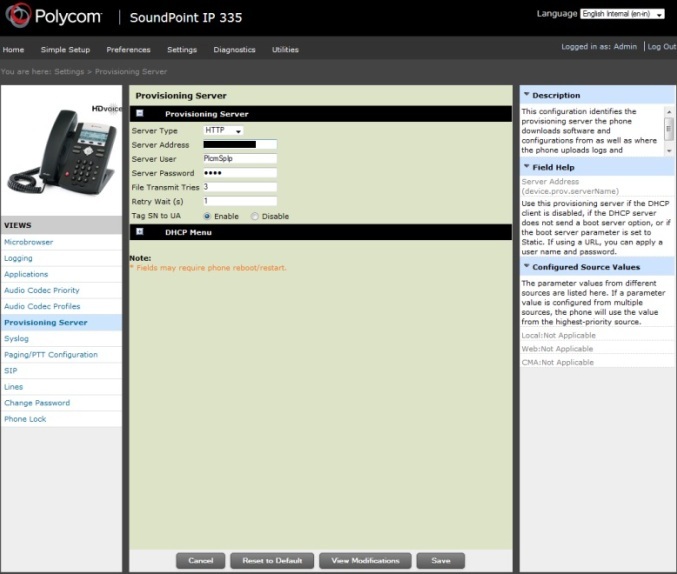 The IP335 is a member of their established SoundPoint series and supports SIP (Session Initiation Protocol), plus Microsoft Lync interoperability. The below provides a summary of our review followed by a description of what is in the box, setup and installation. 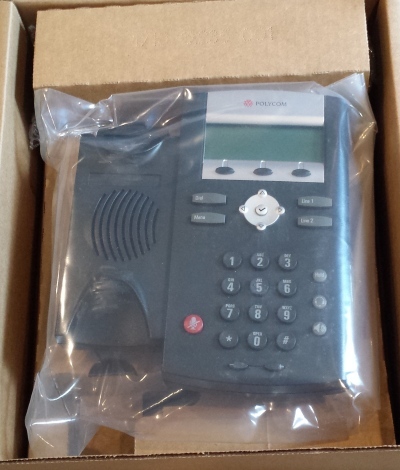 On first using the Polycom IP335 you get the impression of a well manufactured and solid phone. There is no cheap and flimsy feel with this phone. Even though it is an entry level phone it feels expensive (which, comparatively it is) and has an easy to use layout that just feels familiar. This phone includes 2 lines and can support up to 8 simultaneous calls (4 per line), but only one active with audio (others can be on hold etc.). The audio of a phone conversation was good, with very little background noise. However, it seemed quieter than other phones I have used and I found myself adjusting the volume up often during calls. The screen is not large (102x33 pixel grayscale LCD) but is bright (backlit) and easy to read. The on-screen menu is intuitive and easy to navigate using the arrow keys nicely positioned below the screen. The IP335 supports auto-provisioning which made set up very straight forward. The web utility used for remote configuration of the phone from an Internet browser was very easy to navigate and intuitive (see figures below for images of the web utility). This phone includes a 2-port Ethernet switch which allows you to bring one Ethernet cable into your work cubicle/office. This then plugs into the phone and another Ethernet cable can connect from the phone to your computer. An RJ-9 headset connector is included as well as a handsfree function, allowing you to answer a call by picking up the receiver, pressing the handsfree button, or the headset button. We did not test the headset functionality but the handsfree worked as expected. This is an PoE (Power over Ethernet) supported phone which can be considered a good thing for some businesses. However, it means that no power supply is typically included when you purchase this phone. This phone is a little on the expensive side when compared with other manufacturers entry level phones. This is probably only a real issue if you are purchasing a larger quantity or are on a budget. If you dont support PoE in your office setup then you will need to remember to buy a separate power supply, as it is not typically included with the phone. This could be annoying for those that do not realize until the phones arrive. The web configuration utility would not work in an IE11 browser (Microsoft Internet Explorer), even though the documentation stated it was compatible with IE7 and upwards. This wasted time trying to research what was wrong until trying with a Firefox browser and logging straight in with no issues. Even though the screen is nice, bright and easily readable, it is quite basic. Going through the menus requires scrolling to see all options. However, this is really only a minor issue. There was no documentation included in the box. This surprised me but possibly related to buying this phone through a dealer on Amazon. This meant looking up on line on how to provision it. You will have to pay in the region of $100 to $130 typically for one of these phones without a power supply. If you dont have PoE capabilities in your office, be prepared to pay another $15 to $20 for a separate power supply for the phone. This is an entry level 2-line phone with basic features and a high quality build. Configuration is easy, especially with its auto-provisioning capability. It supports PoE, has a 2-port Ethernet switch, includes headset and handsfree capabilities, and has a bright and easily readable LCD grayscale screen. Polycom is one of the market leaders in the IP phone industry and it's easy to see why with this phone. This is a very well built and easy to use entry level phone. The main downside for this phone is it's price. You can buy "more phone" for a lower price. That doesn't mean you will get the highest quality but you can get larger and higher resolution screens (and color in some cases) and more feature-rich phones for less money in todays competitive market place. If you are looking for a basic cubicle or common area phone and budget is not an issue then the IP335 is well worth a look. A handset for the phone. 1x Phone Cord to connect the handset to the phone. 1x stand for using the phone on the desktop or mounting to a wall. Figure 1: A peek inside the box! Simply line up the phone and stand clips/recesses and snap the phone into its stand. Connect the phone cord between the "Handset" connector on the underside of the phone and the handset itself. Connect the Ethernet cable between the "LAN" connector on the underside of the phone and your LAN connection. Connect the external power supply to the underside of the phone and to a wall socket. Press the "Menu" button on the phone. Use the down arrow button to navigate to "2. Status" and press the "Select" key (a tick symbol). Use the down arrow button to navigate to "2. Network" and press the "Select" key. Use the "Select" key to navigate to "1. TCP/IP Parameters". Note down the IP address of the phone. If there is no IP address then check the connections described above. You will now need a PC that is connected to the same LAN as the phone is. Open your favorite Internet browser and type the IP address of your phone into the Address Bar and hit enter. 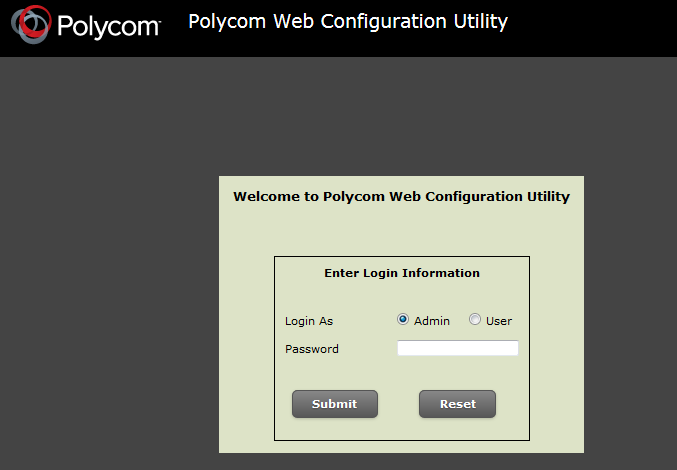 You will see the login screen of the Polycom Web Configuration Utility tool, as seen in Figure 2 below. NOTE: we tried using IE11 at first and it did not work (login screen was shown but we could not login). After switching to Firefox everything worked just fine. To login in as an "Admin" simply enter "456" as the password (use "123" if logging in as a user). You will see the home screen, as shown in Figure 3 below. This phone allows auto-provisioning which simplifies the setup tremendously. You simply set the "Server Type" to "HTTP" and then enter the "Server Address" supplied by your VoIP provider. Next, click on "Save" and you will see the phone reset and come back up configured and ready for use. Figure 4 below shows the "Provisioning Server" screen. NOTE: We used auto-provisioning here but not all service providers support it. If this is not supported by your provider the phone can be provisioned manually. If you would like to see manual provisioning instructions added here, simply send us a note via the "User Q&A" tab above. You are now done configuring the phone and it should be up and running as part of your telephone network. Polycom IP335 reviews are listed in chronological order. Sound and voice quality is very good. Options and some functions are limited, i.e. few ring tones available, saving/ labeling contacts is somewhat complicated. Not able to test-drive a VOIP phone, I chose Polycom on basis of features, price, and reputation. 9 months later, I'm fed up with the call-handling features, and the inability to see phone numbers dialing in or phone numbers for messages (I get those anyway from my online PBX or the downloadable desktop manager from my IP carrier--Jive). The IP335 is presented as a 3-line display but only 2 lines carry call data; the 3rd line is soft buttons. The display problem is call data being presented overruns the display window with the phone number being the last digits on the right--and cut off from view. Call handling features are just nuts. All the Polycom VOIP phones have tiny displays except for top-of-line. I plan to switch to Panasonic. We have had to initiate RMAs on multiple phones under 6 months old. Out of 13 phones, 6 have been sent back because they were either DOA, or have had power issues. These phones are used in a clean, office environment and fail like no other manufacturers' phones we have ever used (Toshiba, Panasonic, Nortel, Cisco).